Sweet & Tart indeed! This beverage has become a staple around our house. We love it. 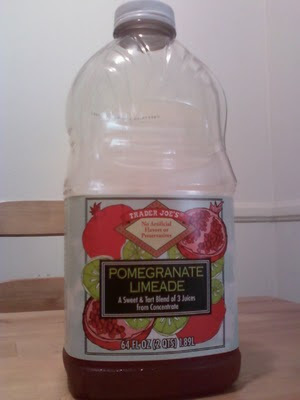 At $2.69 a bottle, it's one of the more inexpensive juices to be found at Trader Joe's. Another plus: this beverage is sweetened with real cane sugar, not high fructose corn syrup. We highly recommend this product. Five out of Five Stars from Nathan...Five out of Five Stars from Sonia. Bottom line: 10 out of 10.